I have the privilege of taking photos for a great company called Patcraft. I am considered an outsider in the flooring world, and I think that’s an advantage. When I go into companies to take photos of the Patcraft flooring that is installed, it ends up being more than just details of the floor and photos. While at a photoshoot, I get to learn about these companies, their story, and their “why”. I often leave feeling inspired and encouraged to continue following my passion, photography. A few weeks ago I visited a company in Allen, Texas called Cutting Edge Pediatric Therapy. I was kindly welcomed by the staff and then toured the facility. Kate and Joe Lundgren are the proud owners of Cutting Edge Pediatric Therapy. They are an occupational, speech, and physical therapy clinic that specializes in children with special needs, spectrum-related disorders, and sensory integration dysfunction. I could tell that this company was different. It was clear that this was Kate and Joe’s passion. Over lunch, I chatted with both to learn more about why they are doing what they do. Because of their personal experience with their own children, their hearts are committed to helping other children. Both of their boys were diagnosed with Autism. Kate was an occupational therapist at the time of their diagnosis. After the diagnosis, Kate and Joe knew their paths needed to follow their head and hearts- into the field of Autism, so they could understand what that diagnosis meant and would mean for the future of their family. At the time, options for treatment were limited. So from there, Kate developed an all inclusive plan for her boys. Walking through their facility, I kept stating how their place was a haven of a place that would be fun for anyone to visit. 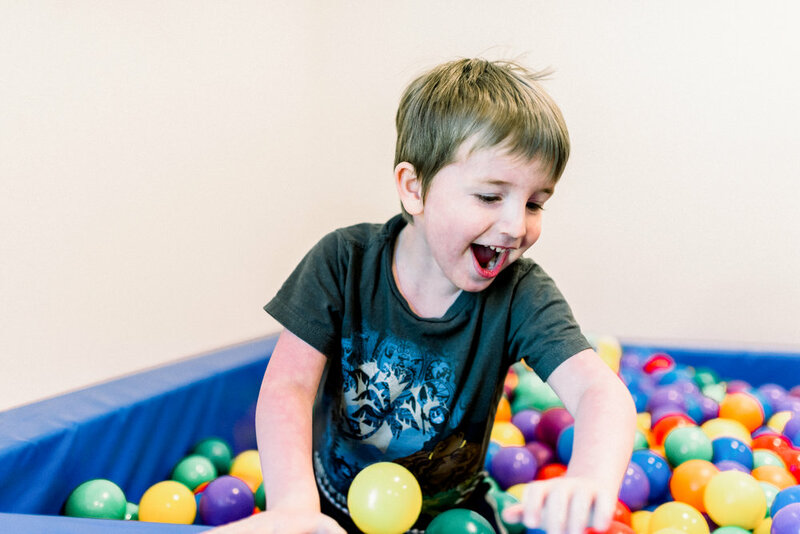 Cutting Edge Pediatric Therapy is more than just a place for therapy, it’s a place their clients can look forward to visiting, a place where their clients can grow, and a place that would make any client feel loved.